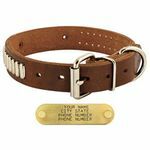 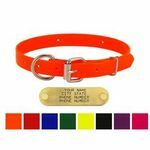 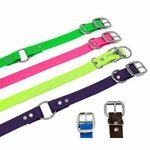 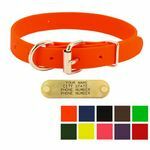 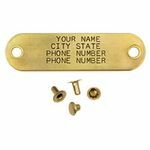 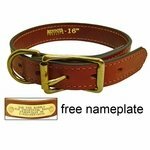 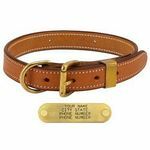 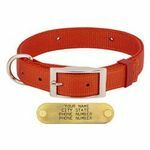 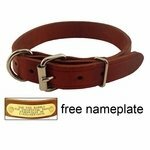 D-End Dog Collars (FREE ID PLATES!). 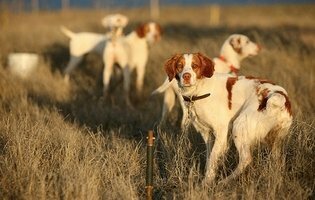 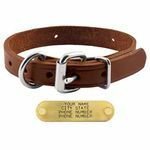 D-end (or Dee End) Dog Collars are a style of dog collar that is perfect for folks that need the strongest collar for dogs that are tied out or on bird dog "chain gangs." 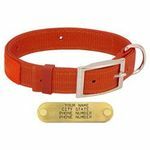 The D ring is on the end of the collar and then the buckle is located behind the ring. 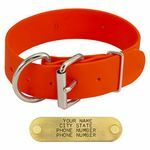 This makes for a stronger design. 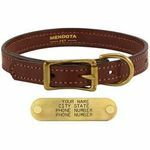 I use this style collar on all of my dogs.